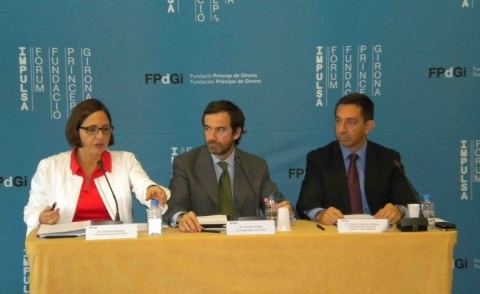 The Prince of Girona Foundation (PGiF) has today announced the winners of the IMPULSA 2012 Awards, which recognise young entrepreneurs and innovators – aged between 16 and 35 years old – who have the ability to take risks and the motivation necessary to bring about changes in society. A student of telecommunications engineering in Madrid, Javier Agüera is the principal promoter of the company GeeksPhone, which has already designed and produced three mobile telephones under the GeeksPhone brand. Set up when Agüera was only 16 years old, the company was the first European brand to create and sell a handset using the latest version of Google’s Android 4.0 operating system. The company’s latest model, the GP2, was launched at the last Mobile World Congress in Barcelona, held in February. Agüera is behind other prior initiatives that demonstrate his innovative spirit and entrepreneurial nature, such as the start-ups TopKami and Darkgate Softworks. The handsets were designed in a small office in a telephone shop in Madrid, while the manufacturing was done in China. GeeksPhone, which currently employs 15 people, has a clear international focus and currently 30% of its sales are made outside Spain. A Social Education student, Edgar Vinyals founded the Inclusive Leisure Association Saräu in 2009 to defend the rights of people with disabilities and mental health problems, and in particular to fight prejudice and social stereotypes. Saräu offers activities throughout Catalonia with particular emphasis on the city of Barcelona. The association provides leisure services for more than 50 organisations in Catalonia, most of them members of DINCAT, ECOM and FECAFAMM, the three second-level reference organisations in the sectors of intellectual disability, physical disability and mental health, respectively. Edgar Vinyals has participated as a speaker in various conferences and congresses dedicated to mental health and social inclusion, including events organised by the ALLEM Federation, the Sant Joan de Déu Hospital, and the Barcelona Municipal Institute for Disability. A veterinary graduate from the University of Extremadura and PhD (extraordinary award) from the University of Dundee (United Kingdom) and the University of Extremadura, Guadalupe Sabio has been a researcher at the Howard Hughes Medical Institute of the University of Massachusetts (United States) and Ramón y Cajal researcher at the National Biotechnology Centre of CSIC. She is currently a professor at the National Centre for Cardiovascular Research at the Carlos III Institute in Madrid. Her principal line of research focuses on the mechanisms that lead obesity to cause concomitant illnesses (diabetes, cardiovascular disease and cancer). Her study centres on molecular mechanisms that determine the appearance of these pathologies and, from a translational perspective, carries out her studies and research in both animals and humans with obesity. Internationally acclaimed by critics for her virtuosity and profound interpretive strength, since the age of twelve she has performed with important orchestras such as the Wiener Symphoniker, the Wiener KammerOrchester, the Mozarteumorchester Salzburg, the hr-Sinfonieorchester of Frankfurt, the Essener Philharmoniker, the National Philharmonic of Russia, and most of the main Spanish orchestras. Winner of prestigious international competitions, she studied with, among other maestros, Zakhar Bron at the Escuela Superior de Música Reina Sofía and at the Musikhochschule in Cologne (Germany) and was the youngest ever scholarship student to attend the prestigious Alexander von Humboldt Foundation school in Berlin (Germany). She has recorded for labels such as Verso and radio stations such as RNE, ZDF, BBC and Chicago Classical Radio. Leticia Moreno, who plays a 1762 Nicola Gagliano violin, was privileged to be mentored by the great cellist Mstislav Rostropovich, who advised her during the last years of his life. The Marianao Private Foundation is a community-based institution which, since 1985, has been running social and educational projects that benefit the whole community. Its work focuses particularly on people suffering social vulnerability using its comprehensive and socialising attention model. The Foundation’s general aims are to foster personal and community development and encourage processes of social inclusion. 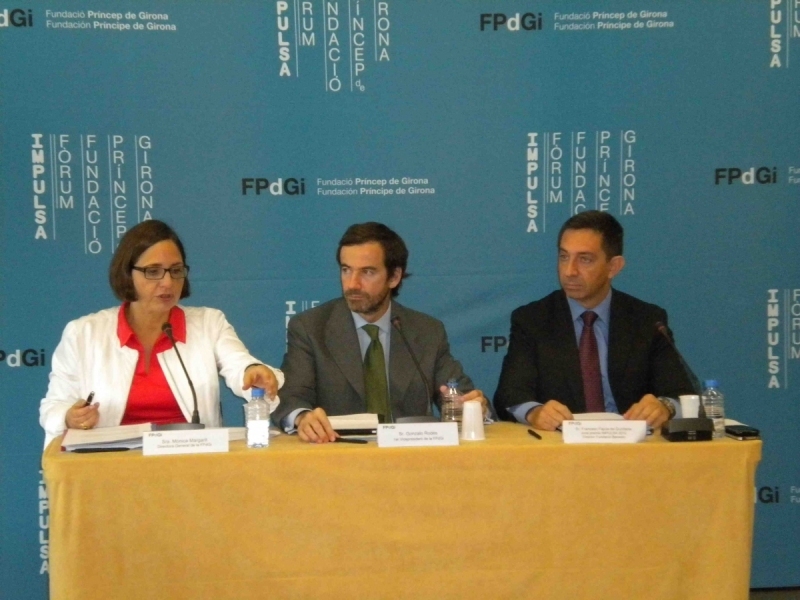 Its preferred area of action is the town of Sant Boi del Llobregat and the county of Baix Llobregat, where it runs nine programmes and 34 projects. In 2010, the Foundation worked with 6,287 beneficiaries, 163 volunteer and 64 members of staff.